I’m not good with dairy. I’ve just never been a fan. It didn’t matter if I was choosing sweet cereals as a child to disguise the taste of milk or, these days, wearing disposable gloves when grating strong cheese. Who knew that making a melted cheese and ham sandwich would become a symbol of selflessness? That is what makes my love of this butter all the more confusing. My attention was drawn to the butter way back around 2010 by patissier and food writer David Lebovitz, an American who lives in Paris. As luck would have it, the shop in Paris where it is sold is only about five minutes’ walk from the hotel where we usually stay. So, for the past three years, I have been bringing some home with me after each of my frequent trips to Paris. I may only be in Paris for a long weekend at a time but, thanks to this butter, I can toast crumpets, close my eyes and be transported back to a place where simple things bring an almost sinful sense of contentment. You really need something a little bland like a crumpet to really appreciate the depth of flavour. The butter is hand-churned and incredibly rich to the point of almost being sweet. Flecks of sea salt act like little flavour bombs, creating the perfect balance. 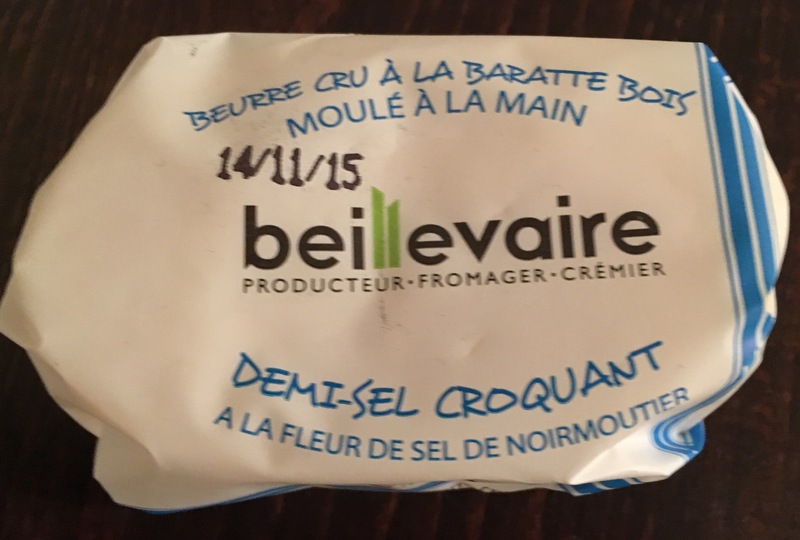 I believe the maker, Pascale Beillevaire, which also makes cheese, now has a shop in Knightsbridge, central London, but something tells me it just wouldn’t taste the same. FEAST With Paul’s final lunch of 2015 will be at Little Water in Covent Garden on Sunday 8 November. Doors open at 12pm and lunch is served at 12:30pm. If you would like to come along, you can book tickets directly from this website. Tickets are £25 for three courses, excluding drinks.